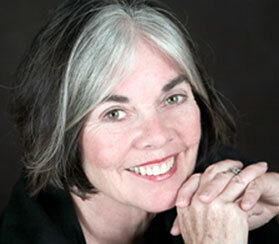 Maureen Murdock is an author, educator, Jungian-oriented psychotherapist and photographer. She was Chair and core faculty of the MA Counseling Psychology Program at Pacifica Graduate Institute in Santa Barbara and adjunct faculty in the Depth Psychology Department at Sonoma State University. 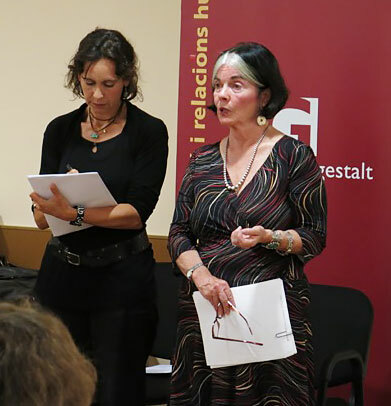 Maureen teaching a workshop on The Heroine’s Journey in Barcelona, Spain. Maureen combines her interest in the mysterious workings of the psyche with a study of mythology and a love of story telling and memoir writing. To that end she helps people explore meaning in their lives through the excavation of their memories in lectures and workshops throughout the United States and in memoir classes at the San Francisco Writing Salon, UCLA Writer’s Program and in private memoir groups in Santa Barbara, San Francisco and Los Angeles. The writing of her last book, Unreliable Truth: On Memoir and Memory (Seal Press, 2003) started as an essay about the similarities between myth and memoir but took on a more personal meaning as her mother struggled with Alzheimer’s disease. Maureen began to look at the relationship of memory to identity as the loss of her mother’s memory affected her sense of herself. It also brokered a healing in the relationship between mother and daughter. As Maureen wrote, the book became more and more about the relationship with her mother and less and less about myth. Unreliable Truth is both a beautifully crafted book about memoir writing and a rich, honest memoir on its own. It is used in college writing courses throughout the country. Maureen’s popularity as an author, lecturer, and workshop presenter has enriched the lives of thousands of people. Her other books include The Heroine’s Journey, Fathers’ Daughters: Breaking the Ties that Bind, Spinning Inward: Using Guided Imagery with Children, The Heroine’s Journey Workbook and Monday Morning Memoirs: Women in the Second Half of Life. Maureen has written articles about mental illness, addiction, and incarceration for professional journals and the Huffington Post and she volunteers in California prisons with AVP (Alternatives to Violence Project).